The man who traumatized Jessica Jones during her short-lived superhero career will be back in town soon, and now we know exactly how he’ll look. 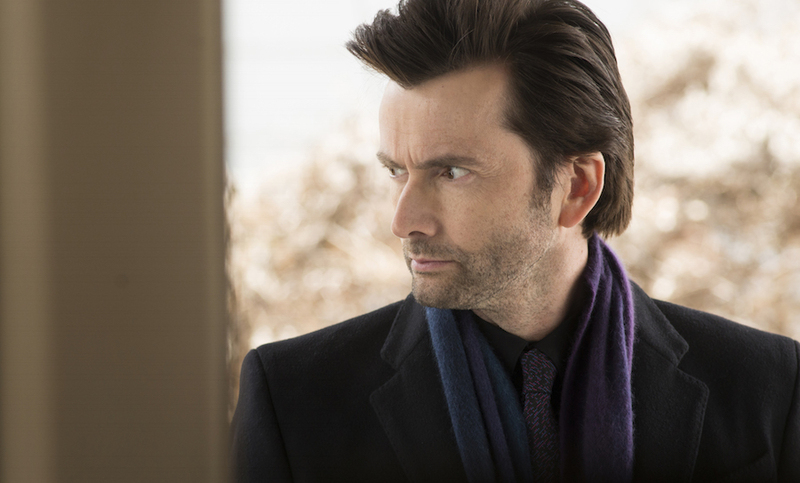 Netflix has released the first official images for the upcoming Marvel series Jessica Jones, and among the photos is our first look at Doctor Who’s David Tennant as main antagonist Kilgrave, better known to comic books fans as The Purple Man. Unlike his comic book counterpart, the live action Kilgrave won’t have the distinctive purple skin. 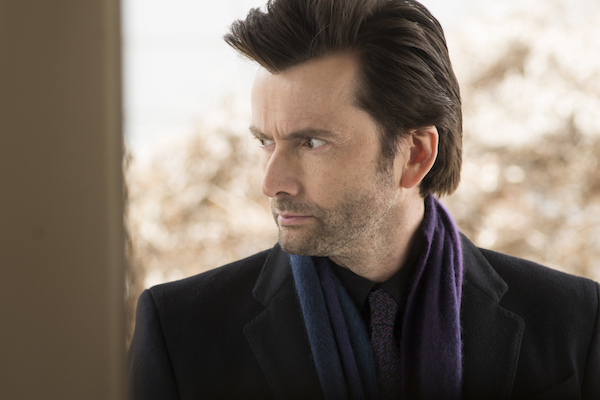 His trademark color is instead represented by a scarf, and leaked set photos have also shown that Tennant will be wearing a purple suit during the series. What this Kilgrave does have in common with the comic book Purple Man is the power of suggestion, which allows him to control anybody in close proximity of him merely by speaking. Side note: that's one sharp looking hairstyle Tennant is rocking. It's like a tamed and more distinguished version of the Flock of Seagulls hairdo. While not officially confirmed by Marvel, since the series is being heavily influenced by the 2001 comic book series Alias, Kilgrave is expected to have put Jessica through some kind of horrific psychological experience in the past, leading her to give up her life as a superhero and become a private investigator. 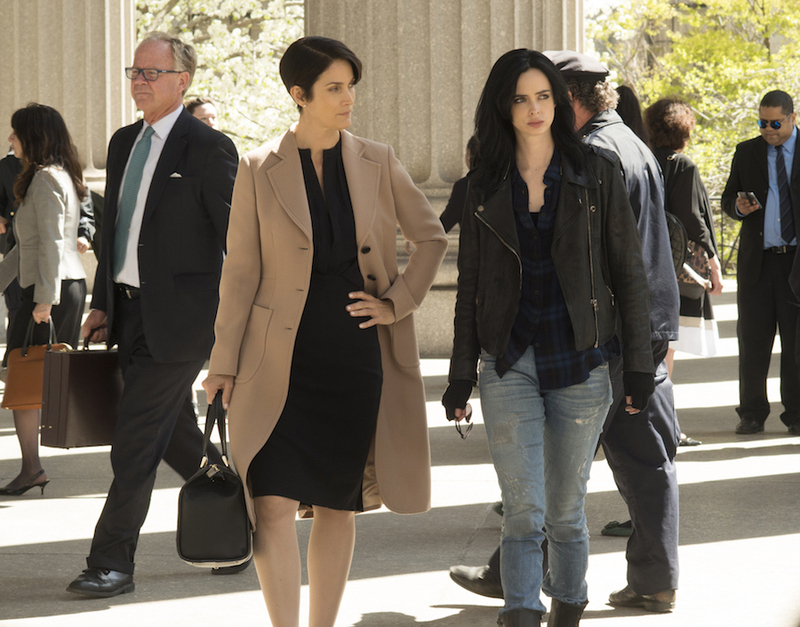 Like Daredevil’s Wilson Fisk, Kilgrave has been described as being just as prominent in Jessica Jones as Jessica herself, and as the show goes on, viewers will learn more about his motivations. Of course, we would be remiss if we didn’t also include a picture of the lead protagonist. 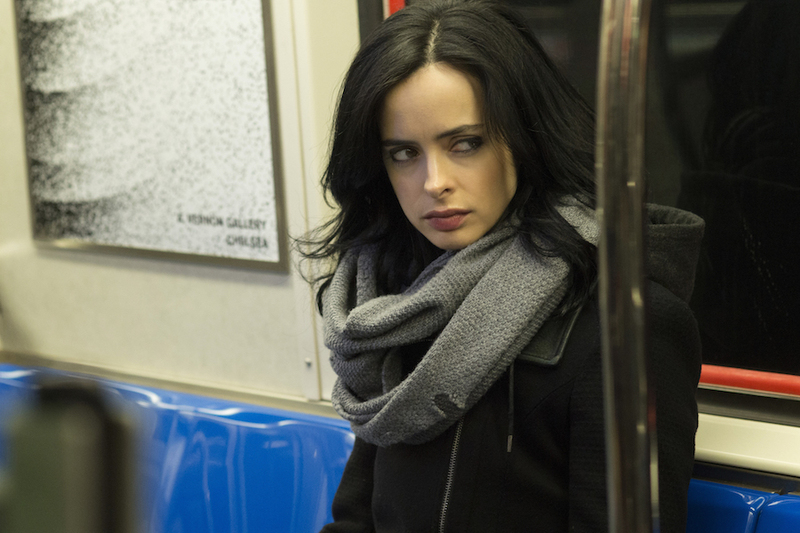 Above we see Krysten Ritter as Jessica Jones riding a subway train. Her suspicious gaze suggests there is someone on the train that she either doesn’t particularly care for or suspects she is in some kind of danger. She is still dealing with her PTSD and other personal issues when the show kicks off, and Kilgrave’s reappearance will throw her into an unanticipated spiral as she’s forced to deal with the man who hurt her. 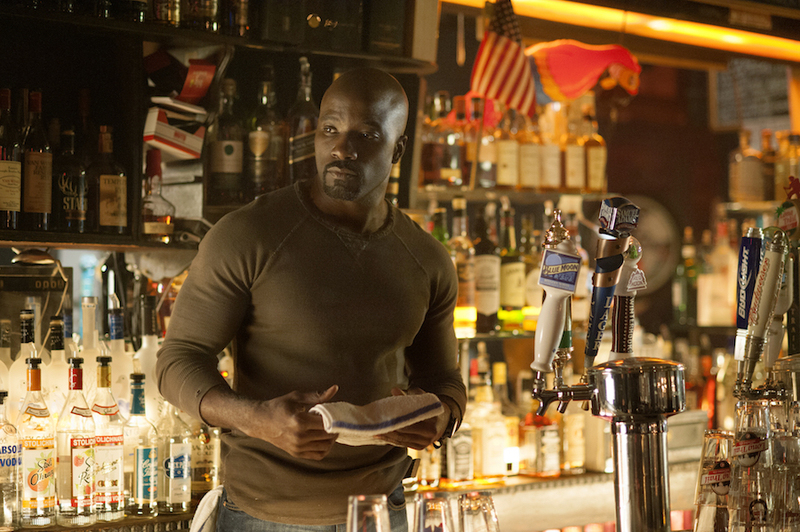 You can check out all of the promotional photos in the gallery below, which includes first looks at fellow Marvel hero Luke Cage (played by Mike Colter), Jessica’s best friend Patsy Walker (played by Rachael Taylor) and Jessica’s powerful ally Harper (played by Carrie-Anne Moss), all of whom are part of the main cast. 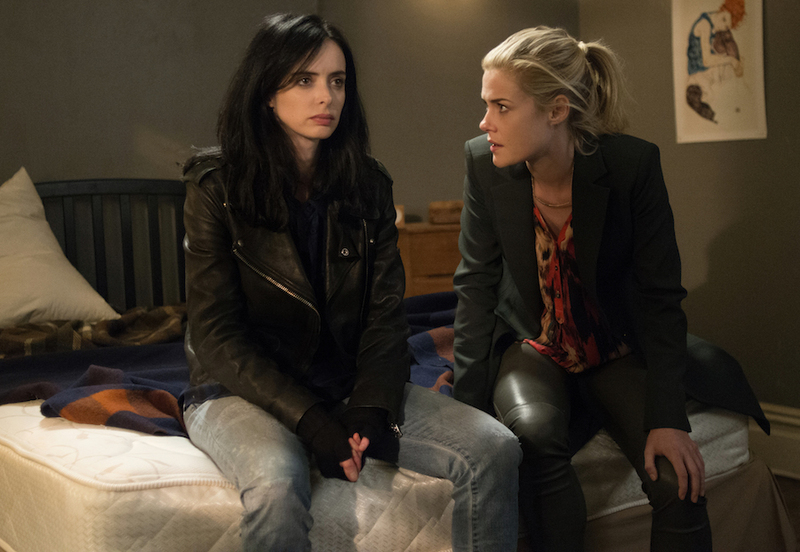 Jessica Jones will premiere all of Season 1’s 13 episodes on November 20 over at Netflix. You can check out more official images from the Netflix series, below. All photos are courtesy of Netflix.